Bright, sunny space with lots of natural daylight and a sea view. 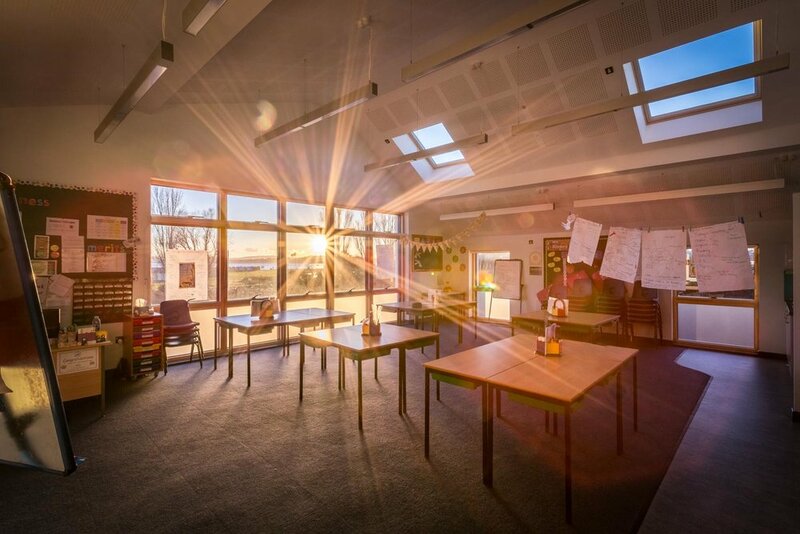 Do school classrooms get any better than this? My only regret with this photo is that I did not have time to set the chairs out but to be honest no one has ever said anything about this, so I guess it is just me being picky. After all I have looked at this image far too many times now. This picture was part of a commission for the architect, Kendall Kingscott. The school is in Poole, with the client being the Borough of Poole. After I have completed the publication of my entire 2018 portfolio I am looking forward to moving on to some new stuff, and working on the next chapter of my journey in photography. I have lots of plans and ideas, and lots of writing to do, so I will shut up now - it is after all a Saturday!